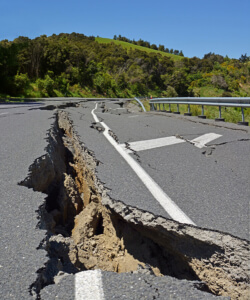 Olympia Earthquake Insurance Agent - All Insurance Inc.
It’s no secret – here in Washington State, we live on shaky ground. Tectonic plates are moving and shifting underneath our feet, and although that’s what’s creating landscapes as beautiful as the Olympic Mountains, they are also causing deadly catastrophes. An earthquake could strike anywhere, at any time, and without any warning. The last major earthquake in Washington State happened in early 2001. Earthquakes are not covered by a standard homeowner’s policy – but they can destroy your home in a heartbeat. Can you risk one of your largest assets, your home? Can you rely on FEMA to bail you out if a quake hits your region? Our clients have told us that they worry earthquake insurance may be too expensive, or that their home may not qualify for this coverage. Others were refused or dropped by their insurance companies.